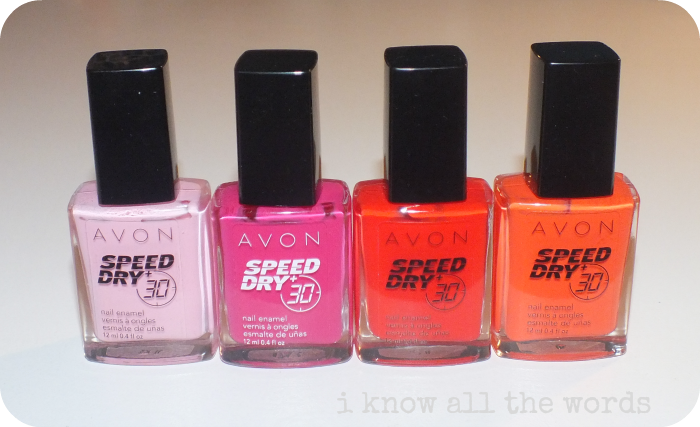 I think the most annoying part of nail polish is the dry time, well, and the smell, but that's a whole other story. Anyway, wouldn't it be nice if you could swipe on any shade and have it be dry in... say 30 seconds? Nod your heads with me. 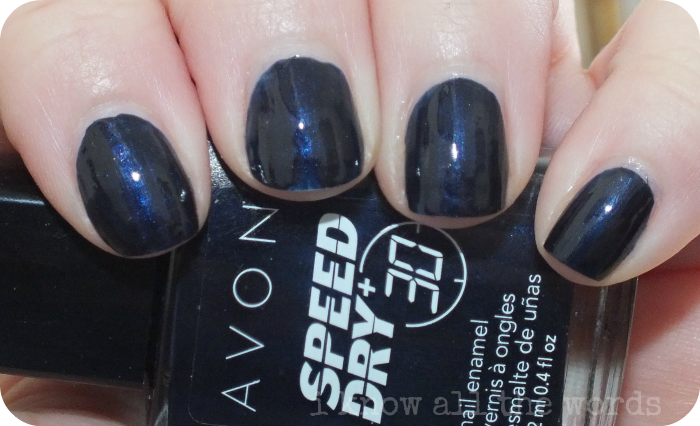 Well, Avon's Speed Dry+ claims that it can do just that. 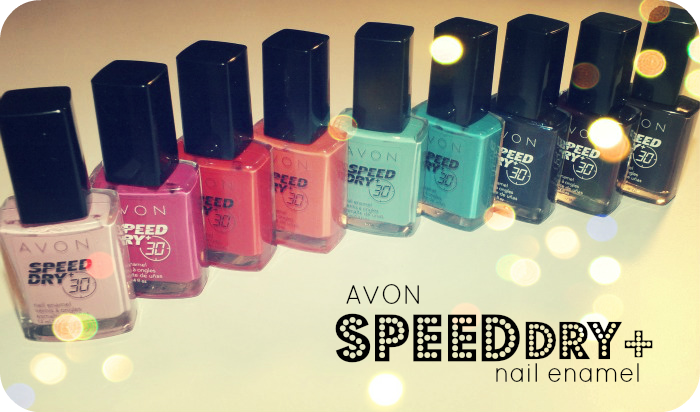 Fast track your nails from wet to set in 30 second. 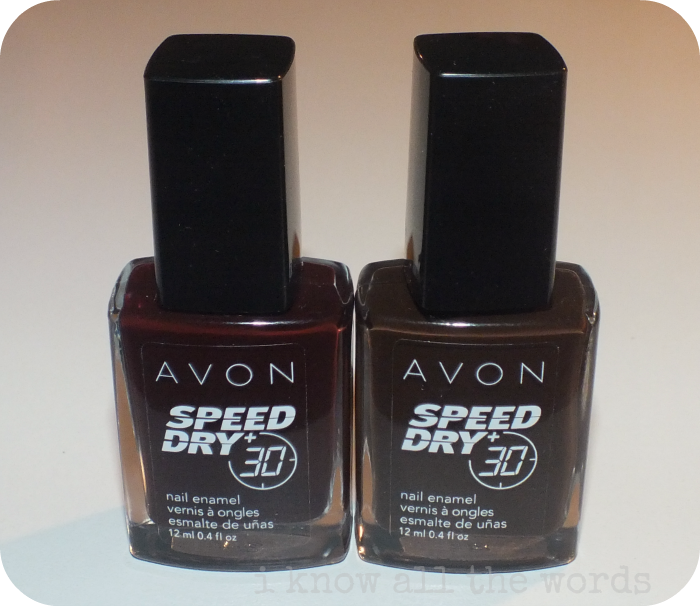 Lets get to what you really want to know: does it dry in 30 seconds? Not quite, BUT it does dry much faster than your normal polish. I used thin coats and found that by the time I got back to the first nail, to add a second coat, the first layer of polish was dry to the touch. That is pretty great. Even with two coats, this polish dries incredibly quickly. The formula is pretty fantastic in terms of coverage and ease of application, two thin coats was all it took for opacity on most shades, and even the paler ones performed without issue. The finish is indeed high shine and hard feeling, which is extra handy if you are really stuck for time. Good stuff all around! There are twenty six shades in this line, the bulk being cremes, but there are also a few shimmers. Most of the shades are on the more basic side, but the fact that they dry so quickly makes them excellent to have in your stash for layering, stamping, or general nail art where you need a dry base. ASAP Pink is a medium-pale pink creme. This is my favourite tone of pink, as it is so wearable with my skin tone. Two coats and not a streak to be seen anywhere! Strawberry is a medium fuchsia creme shade. It's got some brightness to it, but enough depth that it isn't too bright. It's a perfectly wearable take on fuchsia. Two coats. Reddy to Go is a relatively classic red. 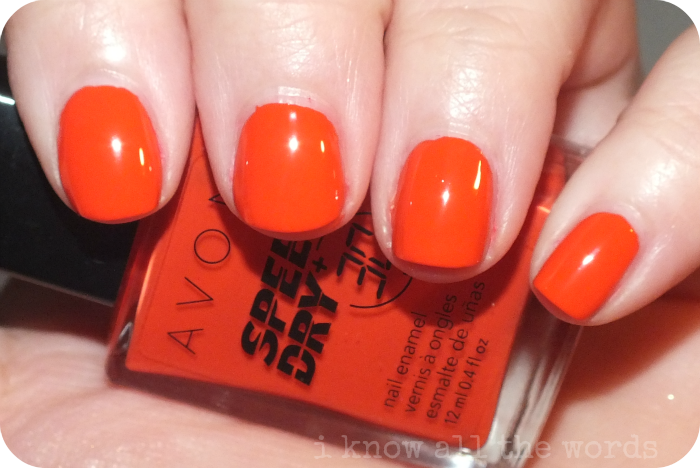 It has a bit of a yellow undertone, but not enough to make it a red-orange. It is a bit darker in person than the photos show. Three coats, visible nail line was a bit of an issue, and super shiny. All of these polishes have great shine, but this one is even glossier looking. 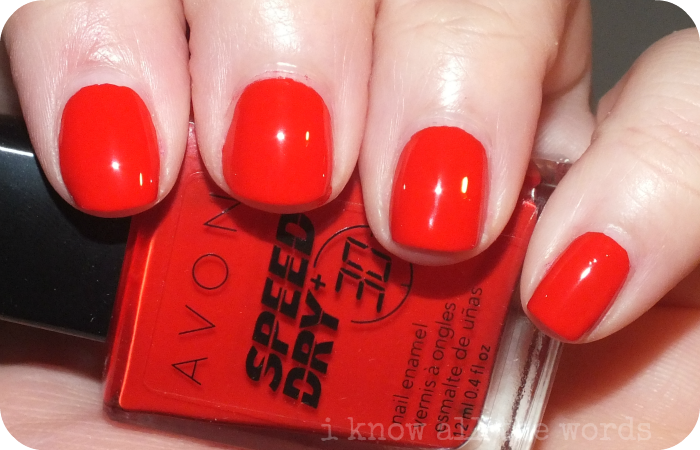 Orange You Quick is a vivid orange creme. It's not quite bright, but it defiantly has some 'pop'. I found that in some lighting this can take on a bit of a coral hue, which was really pretty, but not what you'd expect based on how it looks in the bottle. Three coats as visible nail line was an issue with this shade as well. Turquoise Pop is a slightly dusty turquoise creme shade. It's definitely similar to shades we've all seen before, but the touch of 'dust' does give it a little bit of personality. This was almost a one coater, but I ended up using two, just to even everything out. Fast Time Teal is a true teal creme. It's a touch darker in person than the photos show. This is a really gorgeous shade! In the bottle, it just looked like another teal, but it's really quit stunning on. Two coats. Twilight Blue is a deep, inky blue shimmer. 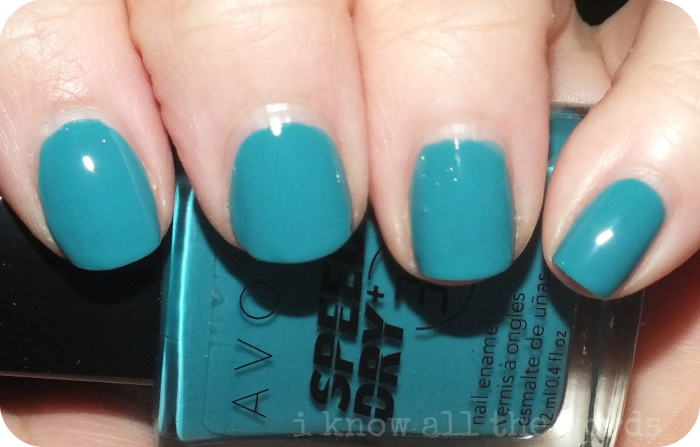 The shimmer is most visible in the bottle, and only shows on the nail when in direct light. This is a shade we've all seen, but the formula of this is what really makes it special. ONE COAT!! Pretty spectacular for a deep shade, but a really nice surprise. 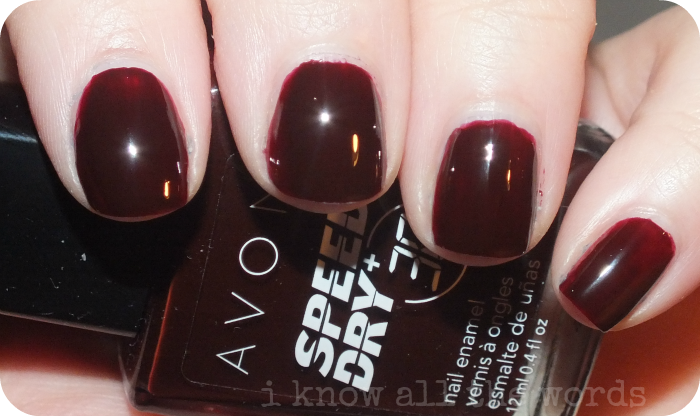 Vamp It is a deep, almost blackened burgundy. A bit bloody, actually. This was the one shade that had a formula that wasn't as easy to work with, but still impressive for a dark shade, as it only took two coats to reach it's full depth. Express Mocha is a deep, blackened brown. I'm not usually a fan of brown polishes, but this is so deep it's almost like a softer take on black, and I kind of love it. Amazing formula, if you can believe it, that's one coat! 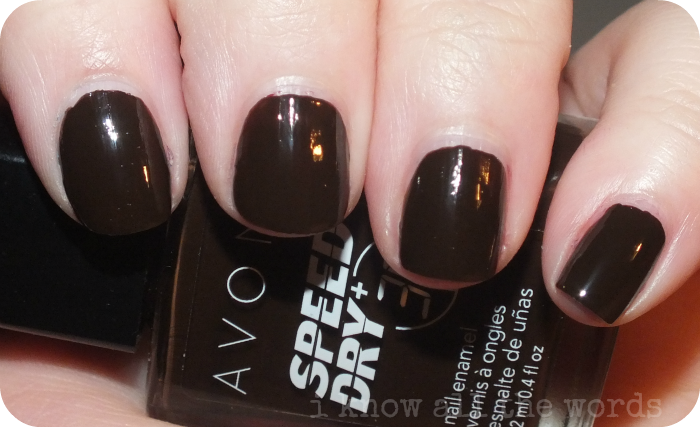 Overall, these polishes have excellent formulas (hello, super dark shades that only take one coat? Crazy! )and are excellent if you hate waiting for polish to dry. Do you like fast drying formulas?